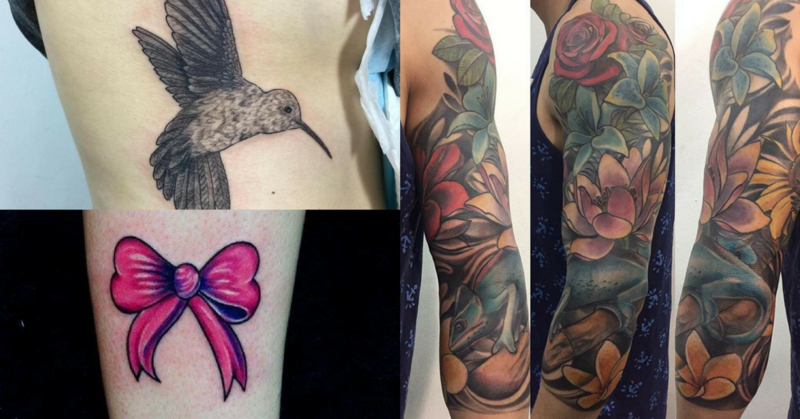 Tattoos have come a long way in Malaysia and as a tattoo enthusiast; I understand the pain of searching for a place that offers good craftsmanship, hygiene and reasonable rates. So, who’s ready to get inked up? Here we go. Cute and dainty are the best words to describe Pink Tattoos. Don’t be intimidated by the feminine name, the artists here all badass in many different ways. There’s something for everyone at Pink, which is why Pink Tattoos is one of the most popular tattoo parlours in the country. Although their launch was only a few months ago, Shipwreck is a cool new place to check out because based on what they’ve already done so far, these guys are definitely talented. As for the artists, you might see some familiar faces from the body art scene so do check them out! Another famous name in the house, Borneo Ink is a place many will usually consider when it comes to tattoos and there’s a reason to that: It is an international award winning tattoo studio with impressive artwork. Can’t go all the way to Borneo for a tattoo? You can never go wrong with Borneo Ink. Specialising in modern art, Julian is a name you should remember for his intricate artwork. Currently tattooing at Wayang Kulit Tatu, SS15, this artist is not just someone who paints elegantly on skin but he also takes amazing photos and shares them on his Instagram page. More reasons to have him draw on your skin! The equivalent of Malaysia’s Kat Von D, Kinki is not only a star herself but is an amazing tattoo artist who has been making body art since the tender age of 16. Currently running her studio under her own name at Publika, Kinki is continuing her legacy and also juggling motherhood at the same time! Described as a home based tattoo studio, Kim started tattooing her twin sister Jazz as guinea pig before she left to Macau for a short course. Now with eight years of experience, Kim has worked with Claudio Comite from Little Star Tattoo and frequents tattoo conventions in Italy, England, and Australia. Always communicate clearly with your artist. Make sure you know what you want and make any changes before it’s permanently inked onto you skin. There’s a price range for everyone! Unless you’re particular about who your artist should be, do your research and find what fits your budget. Home based tattoo artists tend to be more affordable but this also depends on expertise. Take after care seriously. Whether or not your tattoo artist mentions after care, always bring it up as it is a crucial step. Your tattoo needs to heal properly.